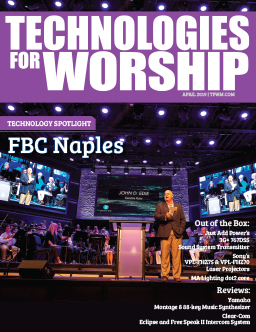 Join Technologies for Worship Magazine to find hands-on solutions for live events professionals in audio, lighting, large venue display and video production technologies. The TFWM Live Events Pavilion performance stage and a show floor “classroom” where you can learn from experts in a will once again feature a popular live audio mixing, sound reinforcement, lighting design and the latest production techniques. If you’re a designer, pastor or work on the technical staff for a church or house of worship, you can’t miss this area! All seminars are free of charge, and will be run right from the show floor at the TFWM Live Events Pavilion. 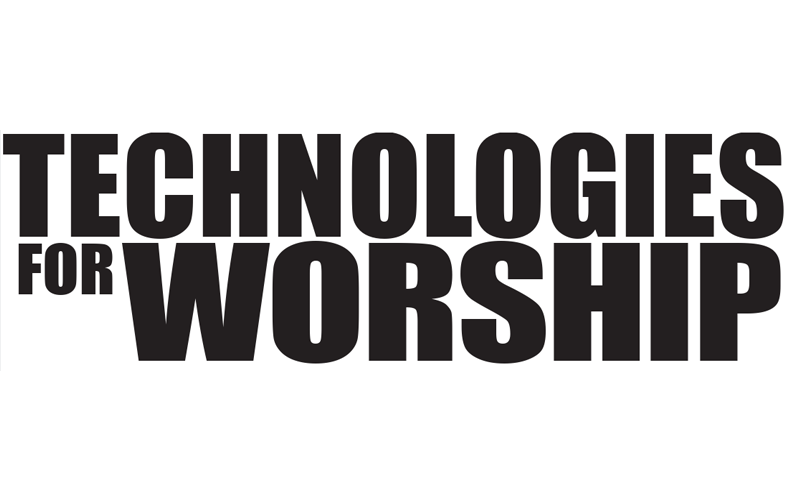 Register for Technologies for Worship Magazine’s FREE seminars at Infocomm 2014. Economies of scale have caused the cost of digital video switching to dip to extremely low cost points, without sacrificing quality or features. Learn about some of the components that can be assembled to provide live switching, H.264 recording/streaming, and other features without breaking the budget. Bryan Cole, and his company, Axia Concepts, provides technology consulting services, in the areas of audio, video, lighting, and general Information Technology. Bryan employs bringing tailor-made solutions often only found in mega churches to the local church, partnering with church staff and volunteers to create ownership and knowledge transfer throughout the entire process. ​Please note, this workshop will take place on the pavilion stage, so registration is not necessary. Contrast and color saturation in different surfaces. Patrick has over 20 years’ experience in entertainment / architectural lighting and video segments and refined video experience, while being the Product Manager for one of the premier projector manufacturers. He has a great understanding of the interaction between lighting, video projection and reflection; understand the needs of the end user, as well as facilitating interaction with Architects, Consultants and Specifiers. Patrick has worked with Artistic Directors such as Yves Aucoin with Celine Dion, Cirque du Soleil, Place des Arts in Montreal, Center in The Square, large cinema chains, various broadcast companies and live events. Many HoW and other live event facilities are relying more and more frequently on video displays and projection screens to augment their live events. How can you make sure your facility is creating the best viewing experience for your audience? First, you need to understand the science behind human vision, how we see resolution, color, and motion. Dan leads the team at Stark Raving Solutions, a design/build firm specializing in Audio/Video/Lighting/Acoustics for houses of worship across the US. Dan has been an early adopter of digital and high definition video technologies who continues to work with manufacturers to design and implement cutting edge digital technologies. Churches need long-term functional A/V equipment. Unfortunately, many churches are forced to use old, problematic equipment that is often less-than-ideal for the scenario. Our goal is to be free of distractions during worship and help people connect via technical excellence. In this session, we’ll discuss tips for obtaining, configuring, and maintaining ideal, quality gear for the long haul – and explore ways to optimize the gear you have for practical and reliable use in ministry. Planning for the future and leading your church to embrace a culture of technical excellence will also be discussed. Please note, this workshop will take place on the pavilion stage, so registration is not necessary. This session will examine LED and Laser Hybrid technology and it’s benefits for Large and Small Worship applications. Areas such as cost of ownership, screen sizes, maintenance, and color performance will be discussed. In addition, cost/benefits will be compared to current lamp based technologies. Kris Konrath, Director, Marketing, Ballantyne Strong, Inc.
Digital signage in House of Worship can improve the member experience, drive interaction and inform visitors. But implementing a solution can raise some concerns such as budget, operational ease of use, keeping content fresh and making sure that it doesn’t look out of place. We’ll take a look at the benefits of digital signage and how to overcome challenges. Kris is a digital signage veteran with over nine years of experience. He has worked with both end users and integrators to leverage digital signage to engage, inspire and entertain audiences. Live streaming has become a fantastic way to extend your services beyond the walls of your facility. There are a few things to consider before launching your first livestream, that will aid in making the viewer experience positive. Following up on the information from “An Introduction to Human Vision,” Dan Stark explains why viewing distances, higher contrast & brightness can be just as important or even more important than resolution in Houses of Worship and other live event facilities. 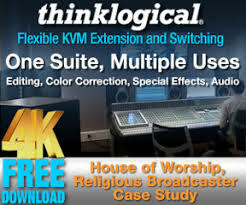 With the certification of AVnu-certified AVB devices, a new generation of networked audio and video devices are now being introduced and deployed in houses of worship – ranging from small single room applications to large multi-room installations. This new gear promises flexible deployment, simple management and true multi-vendor interoperability, making facility upgrades easier than ever before. During this session, system designers and tech directors will learn about the capabilities and interoperability of Ethernet AVB equipment and consider the future of networked AV installations. Understand new capabilities of AVnu-certified AVB equipment. Demonstrate key benefits of networked AV solutions in HOW installations. Greg Kopchinski is a Product Manager at Avid, where he is responsible for defining and managing mixing consoles used in live audio production. Prior to working at Avid, Greg served in product management roles at several leading network security and embedded computing companies for over 15 years. Most churches facilitate worship services solely with technical volunteers. This session will provide practical insight and simple solutions for finding, training, and maintaining a volunteer production crew with a passion for technical excellence. Discovering the formula that continually drives technical volunteers to the next level is the key to building a long-term team at your church that wins – in this session, we’ll discuss a functional way to find that formula. See HANDS-ON Workshops Schedule and register for free here. please check back often, as schedule is subject to change.